It may come as no surprise to see that air purifiers come in all sorts of shapes, sizes and colors. What’s more important to notice, though, is not all air purifiers work the same. In fact, different types of air purifiers employ different technologies when cleansing the air you breathe. It is vital to know and understand how each of these technologies work, so you can be sure to choose the right air purifier for your specific needs. Let’s take a look at the most five common types of air purifiers. HEPA is an acronym for High Efficiency Particulate Air and is a technology that has been used for many years to filter particles. HEPA filters must meet a standard of trapping at least 99.97% of all particles larger than 0.3 microns. The human eye can only see particles larger than 10 microns; so particles caught in a HEPA filter such as chemicals, bacteria and viruses cannot be seen. Because HEPA filters are able to trap mold and bacteria, they create a more sanitary environment. 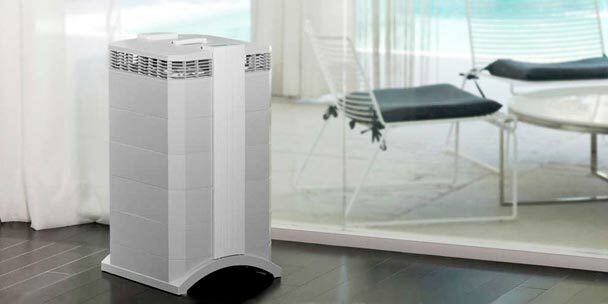 Additionally, this type of air purifier does not generate ozone or any other harmful byproducts. The HEPA filter is a very fine fiber-like material that has been folded back and forth to create the shape of an accordion. This accordion shape creates a maze of randomly arranged fibers and presents a very large surface for air to be pushed through by the air purifier fan. Airflow must have an opportunity to pass through the filter in order for it to be cleaned. 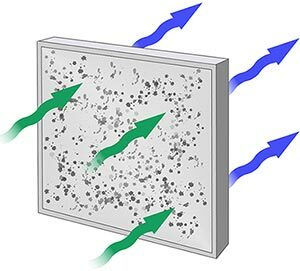 The more times airflow passes through the filter in an hour, the cleaner the air will become. As the HEPA filter becomes full, air will no longer be able to pass through and a new filter will be needed; however a HEPA filter will typically last 2 to 4 years. Large particles will not be able to pass through the openings of the fibers and will immediately get caught. The smaller particles will get caught by one of three mechanisms. The first is when particles come within one radius of a fiber and stick to it. This mechanism is called interception. The second mechanism, called impaction, is when larger particles collide with fibers and embed into them. Finally, they get caught by a mechanism called diffusion. Diffusion is when the smallest particles collide with gas molecules. This, however, slows down their velocity and makes the first two mechanisms more likely. HEPA air purifiers are the most effective at trapping airborne particles; however they do not remove odors, chemicals or gases. Therefore, most HEPA air purifiers have some level of activated carbon based material to absorb odors and chemicals not caught by the HEPA filter. 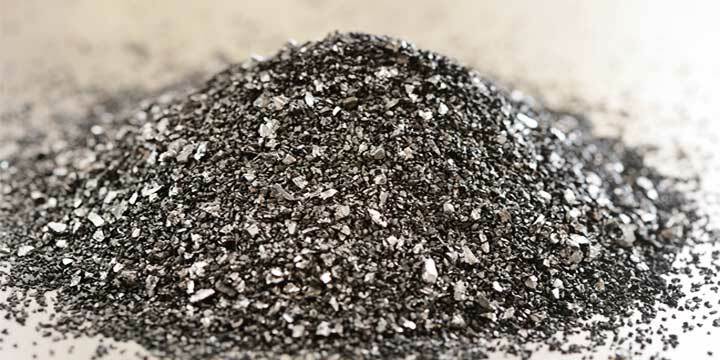 Activated carbon is a form of carbon that has been processed to make it extremely porous and to give it a very large surface area for absorption. The use of activated carbon dates back to the early 1900’s when it was sold commercially to purify water and to take the color out of sugar. During WWI, it was discovered that it could be used in gas masks to protect soldiers, as well as for war time water and air purifiers. 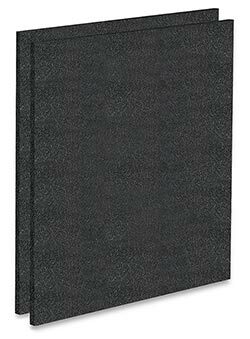 Activated carbon filters are comprised of many molecular sized pores that have high absorbent ability and chemical bonding. These properties make them a very effective tool for capturing pollutants such as chemical emissions, gases, tobacco smoke and odors. Once these pollutants are captured, they are not released back into the air, eliminating recontamination. Air purifiers with activated carbon filters are particularly helpful to people with Multiple Chemical Sensitivity (MCS) because they absorb formaldehyde, which is found in carpet, wood paneling, and furniture upholstery. Perfumes, as well as chemicals in household cleaning items are also removed, making the environment much more breathable, especially for asthma sufferers, babies, children, and the elderly. For many people, particulates such as dust, pollen or pet dander are the main irritants, with odor and chemical absorption being less important. For those who need a high degree of both, it is best to look at the high caliber room air purifiers which offer outstanding particulate, odor and chemical removal. Volatile Organic Compounds (VOCs) smog, ozone, fumes from cooking, pets or tobacco smoke can be unhealthy or irritating for anyone, not just those who suffer from allergies and asthma. Carbon air filters help a great deal in reducing the contamination of the air in our rooms; however they do have a lower efficiency level in removing allergens and airborne particles. they also have limitations in eliminating contaminants that are far away and not forced through the filter. UV technology is most often used in conjunction with particulate filter systems since it doesn’t really get rid of airborne particles. It is however, an excellent method to kill germs such as bacteria and viruses. Air purifiers using this technology have a UV lamp installed and as microorganisms pass by the UV rays radiated from the lamp, cellular or genetic damage occurs, destroying the microorganism. A UV air purifier can convert molecules of oxygen and water found in your air into ozone and hydroxyl. The active molecules react with the air pollutants and destroy them into harmless components like water and carbon dioxide. Ozone is not needed for cleaning and since it can be a harmful pollutant, a good UV air purifier should minimize or eliminate ozone. The effectiveness of this type of air purifier is dependent upon the wattage of the light and the time of exposure to the light. The UV lamp should be monitored and replaced according to the manufacturer’s recommendations. Although UV technology is effective at killing viruses and bacteria, it is best used with a filter system ahead of the lamps. Without a filter system, too many microorganisms get shaded from the light by particulates. Therefore, most air purifiers that employ UV start by filtering the air with HEPA and activated carbon and use the UV as a final stage of filtration. Negative ion air purifiers use chemical injections to clean the air. An ion is a natural particle with either a positive or negative charge. they get this charge be either gaining or losing an electron. Negative ions are simply oxygen atoms that have gained an electron. They magnetically attract airborne particles such as pollen and dust, until the newly-formed particle is too heavy to remain in air. 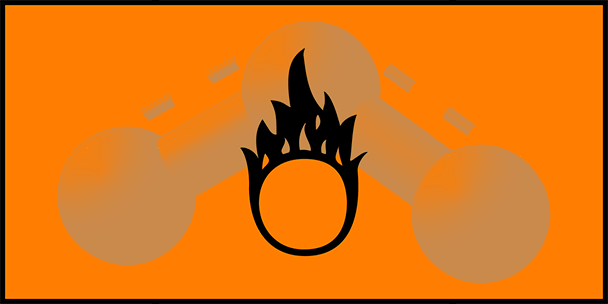 This causes the particle to drop and attach itself to another solid item in the room, such as a window or a wall. Although this technology may seem advanced, it has proven to be less effective than other air purifier technologies. 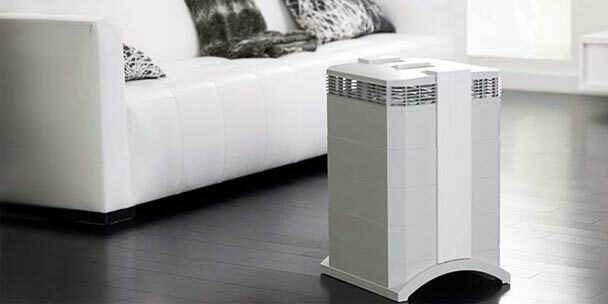 Negative ion air purifiers merely mask the polluted air as opposed to actually cleaning it. Unfortunately, this type of air purifier does not have the ability to absorb or dispose of the harmful contaminants in the air. The negative ion simply takes the airborne particles out of the air and transfers them to walls and surrounding solid items in the room instead of completely eliminating them. When they are stuck to walls and other surfaces, they have the ability to become loose and re-circulate themselves back into the air. Therefore, the negative ion air purifier has not cleaned and eliminated these particles and there is still a good chance they will contaminate the air again. Ozone air purifiers intentionally produce the gas ozone (O₃). Although many statements are made to make the public believe that these devices are safe and effective in controlling indoor air pollution, health professionals have refuted these claims and no agency of the federal government have approved of these devices. Exposure to ozone may ignite asthma symptoms and a high enough level can even scar the lungs. 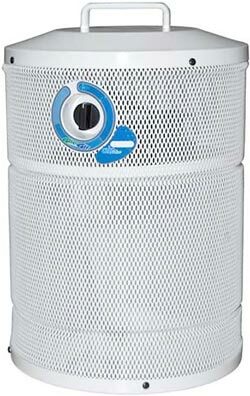 There are many brands of ozone air purifiers on the market and they all vary in the amount of ozone they can produce. Many of the chemicals found in indoor environments take months or years for ozone to react, making them virtually ineffective. Also, ozone does not remove particles such as dust and pollen so most ozone air purifiers also include negative ion technology, which as discussed above, only masks the air as opposed to actually cleaning it. Studies have shown that ozone air purifiers may inhibit the growth of some biological agents, but it is unlikely to fully clean the air unless the concentrations were significantly higher than the public health standards. Great article. Truly breaks down and explains how different types of air purifiers cleanses the air. It gives the reader the information of what type of air purifier would be best suited for them.